"This is electric post-Chicago rock blues, y'all, and guitarist Jay Willie has been glomming a host of great influences: J. Geils, Johnny Winter, Elvin Bishop, Canned Heat, James Montgomery, Leslie West, Monkey Beat…in fact, New York Minute is the kind of stuff me and my co-substance-abusing buds (but, hey, we never inhaled!) used to motor up to The Whiskey to catch in our many pilgrimages to that hallowed shithole (Elmer Valentine wasn't exactly what one would dub a 'Humanitarian businessman' at any point). Well, Christ, no one gave a damn about the decor, only the music, and the Whiskey was unparalleled in getting the great acts, so several times a month, we wended our way to the venue. I several times caught John Mayall (once even with the Pure Food & Drug Act backing him! ), Blood Sweat and Tears, Sweathog, Lee Michaels, and a buncha bluesrockers, there and elsewhere (Forum, Troub, Bowl, etc. ), and the Jay Willie Blues Band woulda fit like hand in glove with those baddest actors." Mark S Tucker, Folk & Acoustic Music Exchange, in a review on the Jay Willie Blues Band's 2013 ZOHO release "New York Minute". 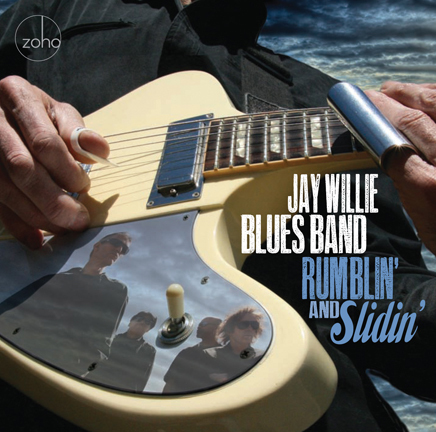 The Jay Willie Blues Band is excited to be releasing its third international release and sophomore CD for the ZOHO Roots label! Creating a CD, at least comparable to our 2013 ZOHO release New York Minute was a definite challenge. The worldwide reviews were all extremely complimentary and our challenge was what would we do for an encore. I contacted harmonica extraordinaire Jason Ricci who was a featured artist on New York Minute and he was very willing to participate on a new project. That alone gave me great incentive and a basis to create another smokin' recording. 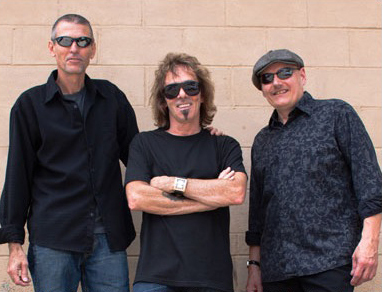 Bob Callahan, Bobby Torello and I wrote some new material and chose some tasteful covers that we believe are expressive of our musical spectrum from early delta style music to high energy blues rock, but performed with our individual enthusiasm and piquancy. We are not your typical Snooze Blues band nor do we want to be. If you like blues that is repetitious and holds on to one guitar note for 10 seconds this record may not be for you. A recent addition to the regular gigging Jay Willie Blues Band is bassist Steve Clarke. Steve is one of New England's most talented and sought after bassists/composers with a resume of performances or recordings with The Yellow Jackets, Theresa Wright Quartet, Patxi, Tower of Power, Melvin Sparks, Pieces of a Dream, Esteban and his own Funky-Jazz-Fusion Band The Steve Clarke Trio with seven successful CD’s to its credit. Steve’s creative style elevates the band to a new level, and this is clearly demonstrated with his solo at the conclusion of Dirty 2:30. We are proud to introduce our newest feature artist, singer Suzanne Vick. Suzanne has been voted “Best Singer/Songwriter” in the New Haven Advocate’s 2010 & 2011 Grand Band Slams. She teaches voice, piano and music theory at the RVP Studio in West Haven, CT.
“Suzanne Vick really knows how to sing. Possessing a strong vocal range and an authentic soulful sound”.- Don Sikorski, Sound Waves magazine, March 2010. Both featured artists Suzanne and Jason Ricci perform on the Edgar Winter track Fly Away. I have a special connection to this song through my son JC and the challenges we have endured related to his Chromosome disorder (Jacobsen Syndrome). Although he has limited verbal and occupational skills,he can communicate through music and playing the piano. One of JC’s earliest performances was his singing and playing "Fly Away". Not only was it a heart - warming experience, but the lyrics were very appropriate to the circumstance. Suzanne demonstrates her exceptional vocal range on this track with her multi- octave range, with additional harmony vocals by Bob Callahan. Jason adds a unique and brilliant acoustic harmonica-toned response to the chorus. Jason Ricci is featured on five other tracks including the classic covers of Link Wray’s Rumble, Key To The Highway, and It Hurts Me Too. Jason is also featured on two Jay Willie Blues Band originals, The Leetch and Caballo. Jason plays a ripping solo on "The Leetch" and an intense harmonica accompaniment on “Caballo” with an emotion and feel that is straight from the soul. Caballo, the Spanish word for horse, is also a slang word for heroin and was written with a respect and empathetic appreciation of the many addictions and challenges that have afflicted many brilliant touring musicians including Jason. Included on this CD are four live bonus tracks recorded through the mixing board at the 2013 Newtown Arts Festival in Connecticut. It was unbeknownst to us that this performance was being recorded, but when Robert Rabinowitz, the Secretary of the Newtown Arts Commission, sent me the files, we were very pleased to hear this recording. Because it was recorded single track, there was little mixing that could be done, but we felt that these live tracks are a great demonstration of our energy and musical interaction. The live performances include Ron Stahl on drums and Teddy Yakush on saxophone. Ron is our alternative drummer for live performances. He is a very solid technical drummer with a music degree from the Berklee College of Music, in Boston. Teddy is an accomplished saxophone and harmonica player and is also included on the Studio track Bad News. Produced by: Jay Willie. Studio tracks # 1 - 10 recorded at Whitehouse Productions, Shelton, CT, in January 2014. Live tracks # 11 - 14 recorded at Newtown Arts Festival, September 2013. Engineered by: Kyle Ryan. Jason’s harmonica tracks # 3, 8 and 9 recorded by Zachary Hall and engineered by Kyle Ryan. Jason’s tracks # 1, 6, 10 recorded by Rich Morpurgo of Midwest Audio Recording and engineered by Kyle Ryan. Special thanks for the live recordings provided by Jim Swain, Main Street Music https://mainstmusicllc.com/ and Robert Rabinowitz of The Newtown Cultural Arts Commission. Executive producer: Joachim "Jochen" Becker.